In the fast-paced world of home entertainment, you are faced with a myriad of choices. More often than not, more choices than you really want to make. 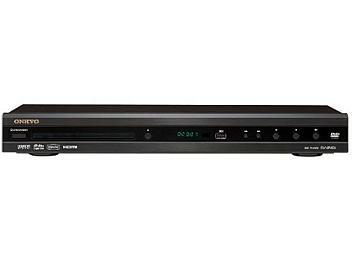 If you're after a playback component that's going to take care of your core entertainment needs-DVD Video, music CDs, and your computer-based music and video files-then the DV-SP406 DVD/CD/MP3 player makes good sense. It actually goes a lot further by upscaling video sources to 1080p, for a one-cable HDMI(tm) digital connection to a high-definition display. Furthermore, its front-panel USB interface allows easy transfer of your digital music files for playback via your entertainment system. You'll also find quality components throughout, such as a 192 kHz/24-bit audio DAC and a 108 MHz/14-bit video DAC to promote overall playback quality; an intuitive Disc Navigator system that simplifies control over disc media; and a remote control that can be used with an integrated system. * Discs that have not been properly finalized may be only partially playable or not playable at all.